Today is my birthday. For the first time ever, my sister Nicola sent me a text to say Happy Birthday. Yay for modern technology, especially international texting of birthday wishes from England. 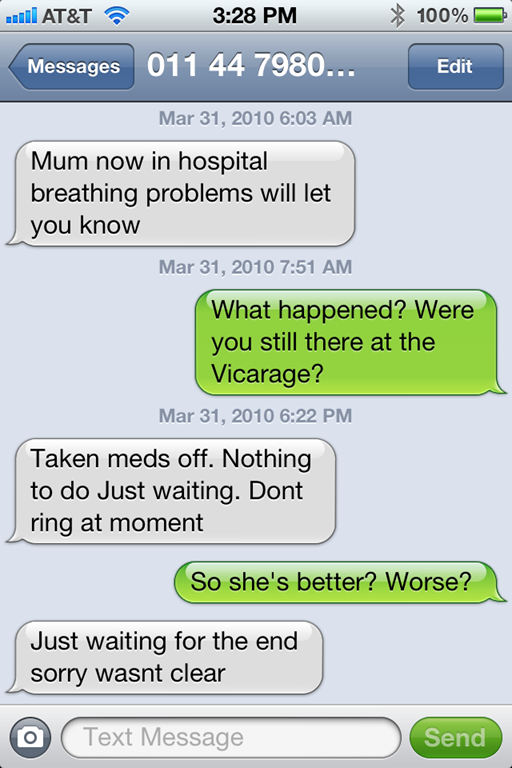 Her sending me a text wasn’t the shock though. 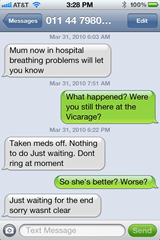 The shock was the previous texts displayed on the timeline: the last time she texted me was when Mum was dying in hospital two years ago. So yeah, yay for modern technology. Especially the fact that I still have texts from two years ago saved on my phone.